Skunk Brand Rolling Papers are one of the most popular rolling papers in the U.S. 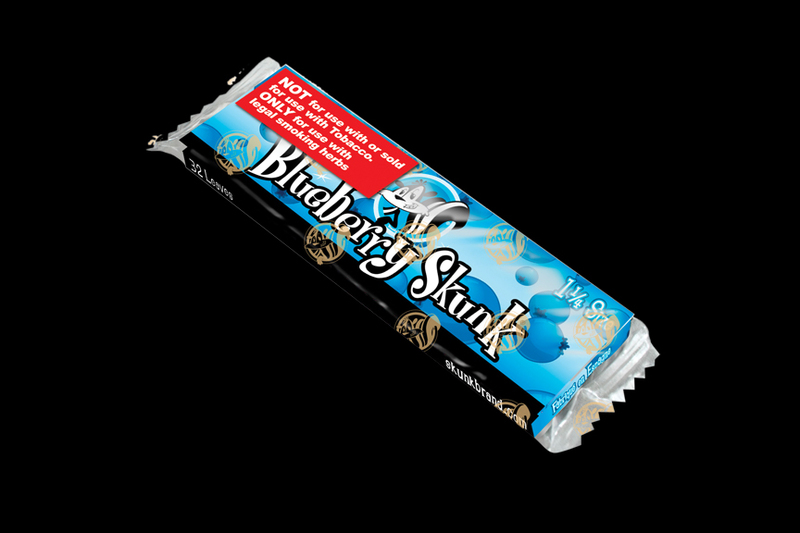 Skunk Brand Rolling Papers:Retailer Note: The non-menthol flavored rolling papers must only be displayed next to legal smoking blends. Do NOT display next to tobacco cigarettes or cigarette tobacco. 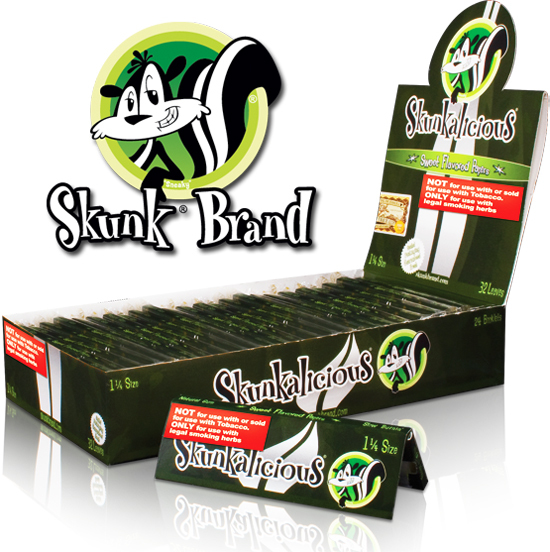 In the United States of America, SKUNK flavored papers are sold absolutely only for use with legal non-tobacco smoking herbs such as Buddah's Blend, Tribe, Sativah, Lovers Blend, Demonilia or Bulldog or with any other single herb or herbal blend so long as the herb or blend is legal and doesn't contain any tobacco. SKUNK flavored papers are ABSOLUTELY NOT TO BE USED OR SOLD WITH TOBACCO.